There’s nothing more classic than a leather jacket. But it’s high time that the wardrobe essential get the attention it deserves. Sure, you’ve always knownit’s that piece all the stylish girls love, but why? What makes this biker-inspired piece of outerwear such a must-have? It is, of course, because there’s no look that a leather jacket doesn’t make better. Whether it’s taking the ultra-feminine boudoir trend and adding a little edge, by way of a leather jacket and slip dress, or keeping it casual cool and styling a go-to look all year round with a classic white T-shirt, jeans, and that perfect cropped moto, a leather jacket is never going to let you down. 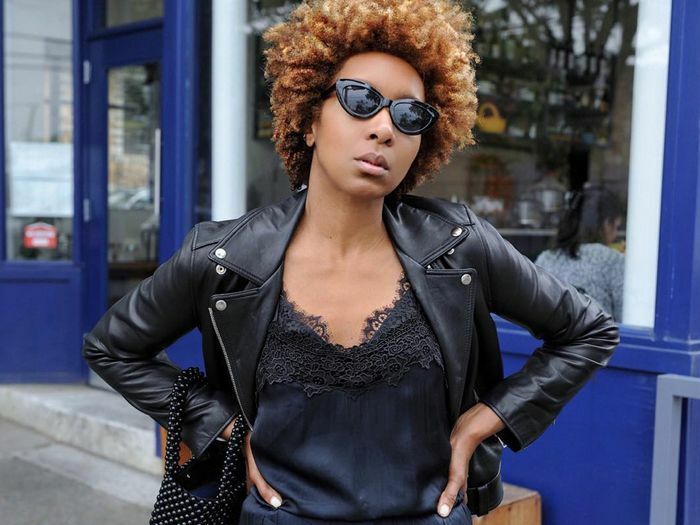 This fall, we’re wearing leather jackets more than ever. While we have our favorite perfectly worn style, we’re grabbing a few more to make sure we’re covered for anything our social calendar throws our way. There’s the shearling-lined for colder days, the shrunken style that is fitting of more formal events, and that oversized borrowed-from-the-boys silhouette you can throw on to grab brunch with your friends. Check out the looks below and be inspired for your every leather jacket look this season. Mix a preppy plaid top with black trousers and grunge combat boots, topping the whole look with a leather jacket draped over your shoulders. Consider a non-black leather jacket when looking for something a little different. Seek leather jacket details, like striped cuffs and waistline for a look that's just a little different. Layer up this fall with a leather jacket and ladylike look, topped with a trench on colder days. Go unconventional with a leather puffer in lieu of a classic moto jacket. The ultimate uniform: a white T-shirt, skinny jeans, and a leather jacket to finish it off. Dress up your distressed vintage denim with a silk camisole and leather jacket this fall. Go all black with leggings, a T-shirt, and oversized leather jacket for a chic take on the athleisure trend. Make a sweatshirt and denim look feel a little more tailored with the addition of a classic moto. Amp up your elegant striped trousers with a cropped leather jacket that fits just-so. Consider styling your wardrobe essential with a pair of white jeans instead of your go-to blue styles. Play with all your favorite trends by topping a boudoir-inspired slip dress with a shrunken leather jacket style. Make your tailored trousers and turtleneck a little more youthful by adding a moto jacket on top. Even for a more formal event, in the right shrunken size, a leather jacket is a perfect styling piece. Go pastel this fall with a light pink leather jacket top top all your floral sundresses with to make a summer favorite a little more autumn-friendly. We dare you to shop just one.